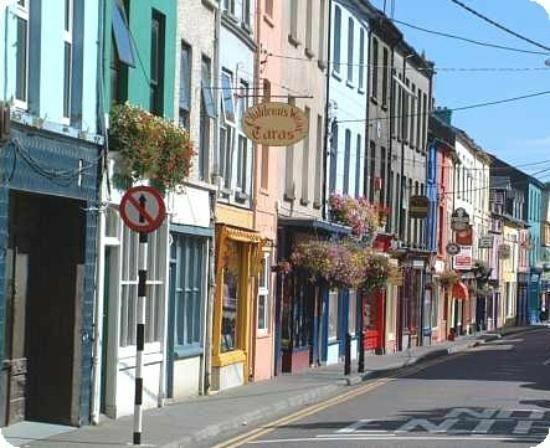 Clonakilty (; Irish: Cloich na Coillte, Clanna Chaoilte), sometimes shortened to Clon, is a town in County Cork, Ireland. The town is located at the head of the tidal Clonakilty Bay and is surrounded by hilly country devoted primarily to dairy farming. The town's population as of 2016 is 4,592. It is an integral part of West Cork's tourist attraction and noted for its vibrant culture and night life. Clonakilty is rich in ancient monuments and dwelling places of early and pre-Celtic settlers. The Normans made the area their home and their castles and surnames survive to the present day. 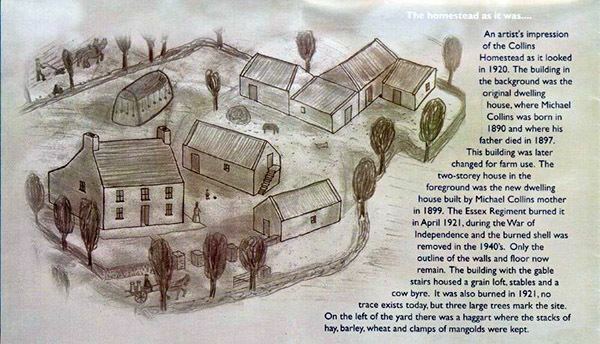 In 1292, Thomas De Roach received a charter to hold a market every Monday at Kilgarriffe (then called Kyle Cofthy or Cowhig’s Wood), close to where the present town now stands. The area was abundant in woods, as the Irish names of the town and surrounding townlands indicate. Clonakilty benefited greatly from the patronage of Richard Boyle, 1st Earl of Cork ('the Great Earl'), who may properly be regarded as its founder. It was this Lord Cork who obtained its charter from King James I of England in 1613 with the right to return members to the Irish House of Commons. The borough of Clonakilty returned two members from 1613 to 1801; it was disenfranchised when the Act of Union came into force in January 1801. Clonakilty was later inherited by the Earls of Shannon, another branch of the Boyle dynasty. They remained the main landlords of the town from the eighteenth century through until the early twentieth century. Shannonvale, near Clonakilty, is known as "the only place in all Munster where a blow of some sort had been struck during the Rising of '98" at the Battle of the Big Cross There is a commemorative statue celebrating the Battle of the Big Cross in Astna Square in the centre of Clonakilty. General Michael Collins, who was the Director of Intelligence for the IRA, which campaigned for independence from Britain in the 1920–1921 period, lived in Clonakilty and attended the local boys' national school. General Collins later served as Chairman of the Provisional Government and was thus instrumental in the founding of the Irish Free State. Collins is widely regarded as one of Ireland's leading historical figures. He was killed by an Anti-Treaty ambush party during the Civil War. He gave many an oration from O'Donovan's Hotel on the Main Street of Clonakilty. A statue of Michael Collins by local artist Kevin Holland was erected in the centre of Clonakilty and dedicated in 2002. It can be seen at the junction of Bridge Street and Emmet Square. In April 1943, a war plane, a Boeing B-17 Flying Fortress, was travelling from Morocco to England when it was forced to make an unscheduled stop at a marsh just outside Clonakilty. The soldiers thought they had been flying over German-occupied Norway but got disorientated in fog and ended up in Éire, a state that later became the Republic of Ireland, which was neutral during the Second World War. The crew were uninjured in the landing and, once they had emerged from the bog, they met local man Eddie Collins who directed them into the town. Clonakilty was founded on 5 May 1613. On 5 May 2013, President Michael D. Higgins and his wife visited the town to commemorate 400 years since it obtained its charter from the King of England. The nearest airport to the town is Cork Airport, and Bus Éireann provides coach links from Clonakilty to Cork and Skibbereen. During the summer months, there's a bus link to Killarney via the N71 road through Skibbereen, Bantry, Glengarriff and Kenmare. Clonakilty's position as a centre of music, both traditional and contemporary, has helped this small town to become a thriving melting pot of musicians. Clonakilty's bars host live music nights throughout the year and it is possible to find live music on most nights. Many famous musicians have found a welcome and a home here, and have contributed much to the energy and vibrancy of the town. The late Noel Redding made Clonakilty his home as has singer-songwriter Roy Harper. Currently, English novelist David Mitchell calls Clonakilty home. 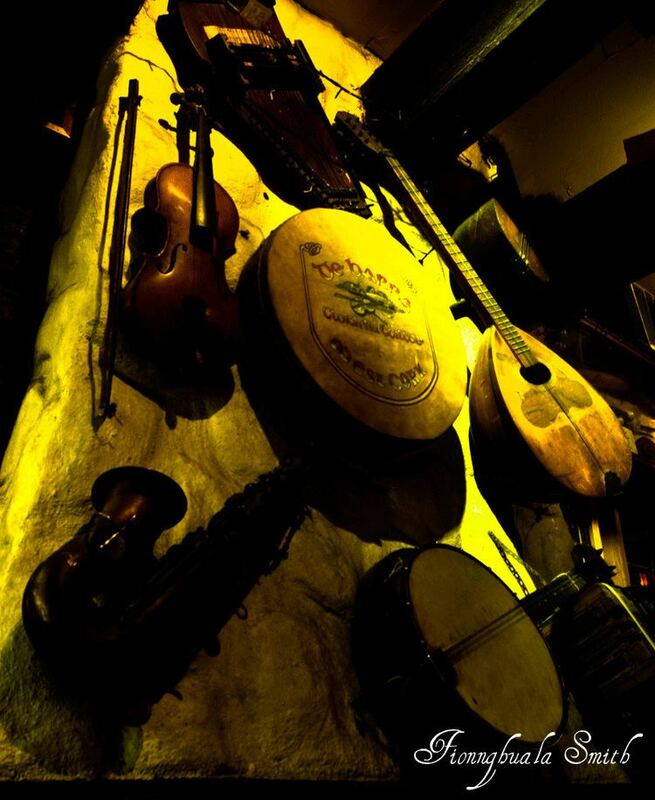 Monday Night Trad Sessions, O'Donovans Tuesday Trad and Shanley's Famous Music Bar main venues. Summer afternoon sessions in Scannells beer garden with Dave and Friends, De Barras Folk Club presents attracts acts like folk legend Christy Moore and Sharon Shannon, Frances Black and Setmaker play regularly. The town won the Irish Tidy Towns Competition in 1999 and every year since has gained awards for its environmental efforts. The cleanliness is the result in part of the voluntary efforts of local shopkeepers and staff. In 2003, Clonakilty became Ireland's first ever official Fair Trade Town. In 2007 it was awarded the status of European Destination of Excellence by the European Commission at a ceremony in Portugal and is Ireland's first recipient of this title. Irish historical figure Michael Collins was born in Woodfield (now the Michael Collins Birthplace) 5 km west of Clonakilty. The Model Village in Clonakilty is a leading tourist destination in the Clonakilty area, it is an excellent way to start a tour of the region. The village is a fully scaled model of a West Cork town that grew along the old railway line between 1930 and 1950. Built on a miniature of the Railway line, you can enjoy a unique overview of the character and history of a heritage town. Clonakilty is the home of the world's only "Random Acts of Kindness Festival" set up in 2012 by the local Clonakilty Macra na Feirme Club. The festival aims to celebrate the welcoming and warm hearted nature of not only the Clonakilty community but also of the Irish people as a whole. The Festival is held each year on the third weekend in July, with the motto: "Cut the Misery and Spread the Positivity". Other historical attractions in the town for example the Clonakilty Museum, the Georgian houses of Emmet Square and the Micheal Collins Centre which is located a few miles east of the town. A Farmers Market takes place at O'Donovans alley every Friday. Clonakilty has a GAA club(Clonakilty GAA), two soccer clubs (Clonakilty A.F.C, Clonakilty Town), a rugby club and a Martial Arts club (Warrior Tae Kwon Do). The teams have been successful in recent years winning the Cork Senior Football Championship in 2009, 1996, and being runners up in the 2003 competition. Clonakilty RFC also became a senior rugby club in 2001 and spent 12 years in the All Ireland Rugby League until they were relegated to Division 1 of the Munster junior league where they currently play. Clonakilty won their first adult hurling county title when they won the Cork Minor B Hurling Championship in 2007. Clonakilty A.F.C. have won the Beamish Cup in 2008 & 1995 and in 2014 featured Australian international, Alex Swift. Students of the Clonakilty "Warrior Tae Kwon Do" club compete in a variety of Tae Kwon Do, Kickboxing and Freestyle tournaments and the club has produced 4 World Champions in various martial arts disciplines. About 15 minutes from Clonakilty and looking out over the Galley Head lighthouse is the aptly named Long Strand. A mile and a half of sand bounded by waves of dunes. The top end is a haven for surfers but the rest of the beach is unsafe for bathing due to a dangerous undertow. A popular beach with locals is Duneen Beach which is across the bay from the right-hand side of Inchydoney beach.